It's the end of the month, which means it's book day on the blog! Each month, I review three books that I read. For this month, one is something that will stick with me for a long time, one I learned from, and the last I just enjoyed. Here's what occupied my nightstand this month. 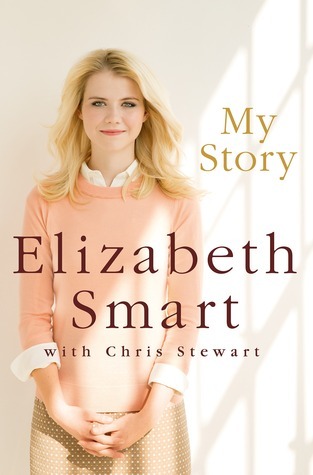 Elizabeth Smart's kidnapping is the first story I remember really following. She was kidnapped in 2002 at just 14 years old, and I can still remember seeing the interviews on the news of her parents begging anyone to bring their daughter home and Elizabeth's face plastered across the magazines at the grocery store. 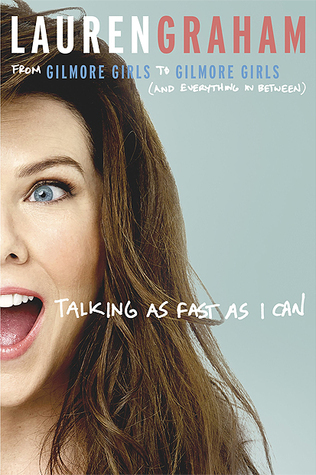 I read this book and don't honestly have words to adequately describe it. Elizabeth is candid and just detailed enough to give us a sense of what went on during the 9 months she was missing. She endured more at 14 years old than anyone should ever, ever have to. Her outlook is so inspiring, and the way she came out of the tragedy and now leads a normal life with a husband and kids is something I don't think many people could do with as much grace as she has. This book had an effect on me, and I found myself recounting the chapters at night to my husband. I highly recommend reading it. 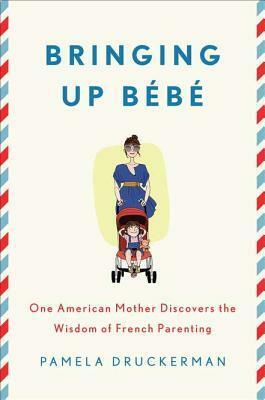 This book is written by an ex-editor for the Wall Street Journal that moves to France with her husband. She is intrigued when French children are all sleeping through the night by 8 weeks old, choosing fruits and vegetables over pastries, and using manners over tantrums. She documents the wisdom of French parenting and what they seem to be doing right when other cultures are failing. I really liked this one. It obviously applies to my current stage of life, but it had practical, sound advice that I think a lot of moms can learn from. If you're a young mom or expecting, read it! That's all for this month! Anything you've been reading and loving lately? I am signing off for a week to enjoy Labor Day weekend. See you all next Wednesday! Happy Monday! I have had a few people email me over the last few weeks asking for tips on having a career as a military spouse. 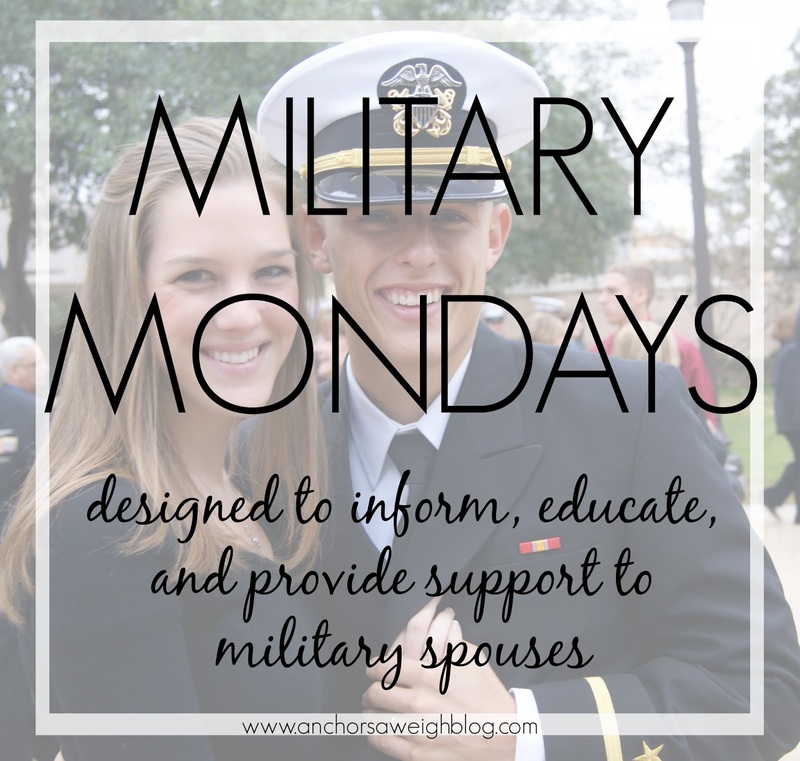 I thought today would be a perfect chance to dedicate this Military Mondays post to that topic. I have mentioned before on this blog that I work from home and have been blessed with a job that has gone with me wherever we go. 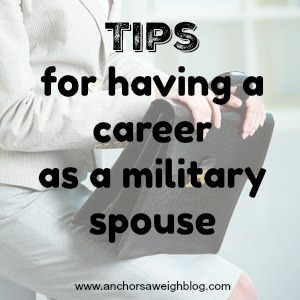 Having a career as a military spouse isn't always easy and can prove very, very difficult to find, but I thought I would take today to share a few tips and pieces of advice for having that career while moving every few years. A little backstory... I started out working for a company in College Station, TX (where Texas A&M is located) right after I graduated. Parker and I were engaged, and he still had a year until he graduated and commissioned into the military. 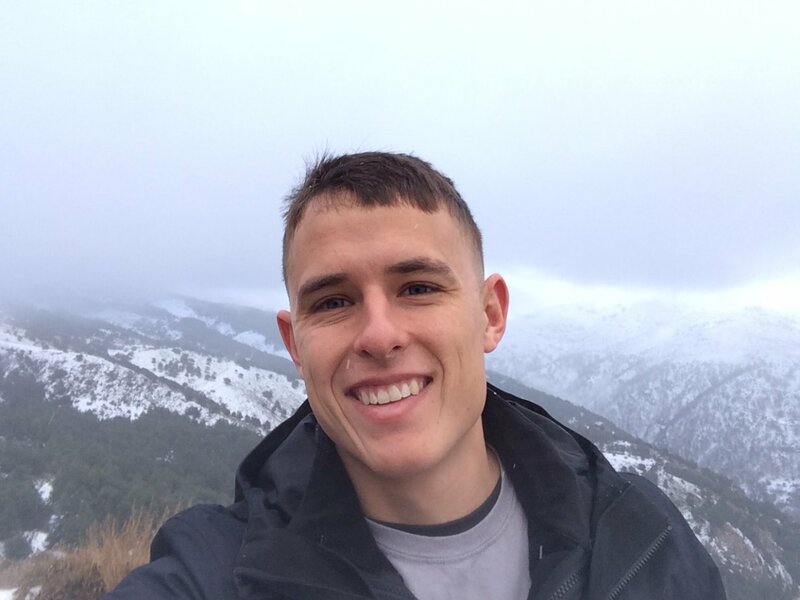 I took a job in that city so we wouldn't have to be long distance, knowing I would likely be quitting a year later to start our military journey. 7 years later, I still work for that same wonderful company. I am not going to sit here and say that if you follow these tips, you'll have a steady career while being a military wife. Luck and timing play a part in it too, but here are some tips that could definitely be of help. 1. The #1 tip I could give anyone: do NOT mention the military in your interview. 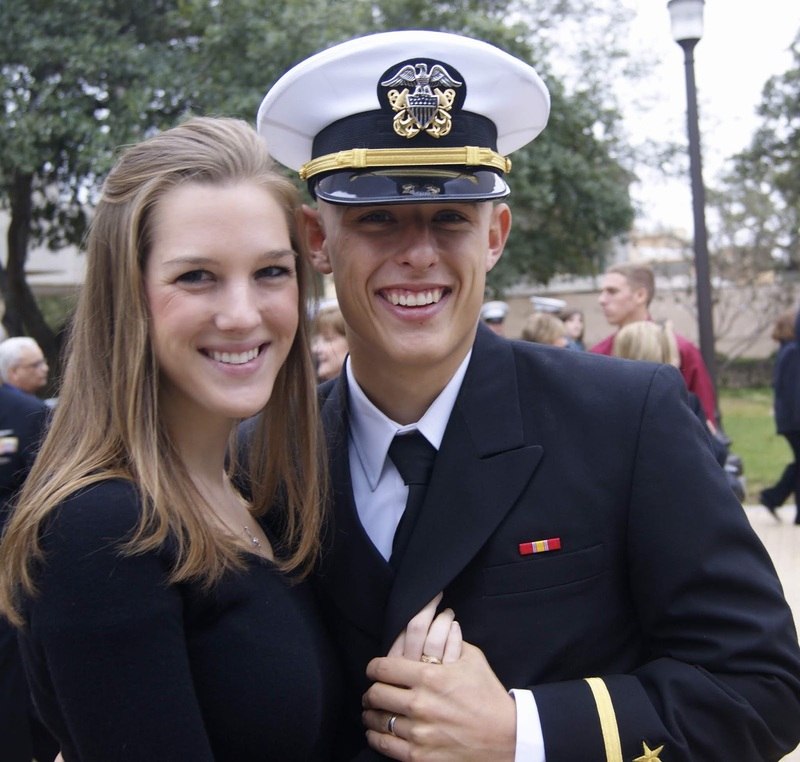 Companies don't want to hire military spouses because they know you may not be there long. Legally, companies are not allowed to ask if your significant other is in the military, but many will, especially if you are wearing a wedding or engagement ring. The company I work for today saw my engagement ring and asked what my fiance was planning on doing after graduation. I kept it vague and said he wasn't sure. - "He isn't sure yet what he wants to do"
- "He works in the city"
- "I just moved here and am excited to experience a new city. 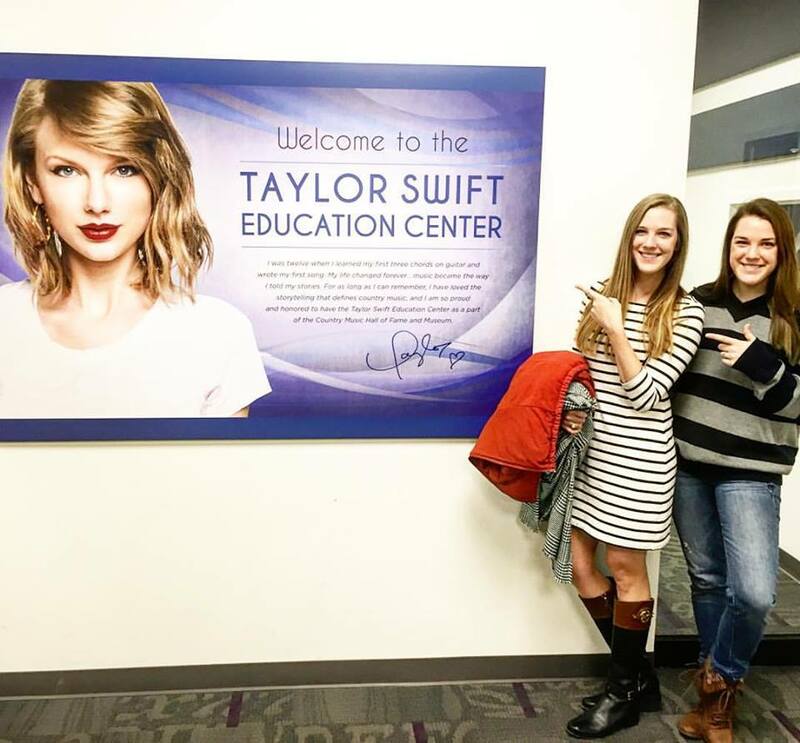 I am young and want to broaden my horizons, so I am excited to be here"
2. Some jobs are more easily transferrable than others. Administrative jobs are on the easier end of the spectrum to get. Nursing is another good one that you can do anywhere. Teaching is harder because, while you always need teachers, I *think* you have to get certified in every state you teach in. I interned for Enterprise Rent A Car in college, and that's something I literally could have done anywhere. Look into the type of work that transfers easily and the companies that have offices everywhere. 3. Research work from home options. Talk to friends who work from home. There are ways to work from home without doing direct selling on Facebook (not that there is anything wrong with that at all). A good example is VIPKID. This is an online tutoring program that is pretty flexible and can be done anywhere. They pay well, and you just need a bachelor's degree to do it. I have several friends that work for VIPKID. There are other options like this out there if you're willing to do a little research. 4. If you are currently working and know you are about to move for the military, ask your employer if you can work remotely. This is 2018, yall. Many jobs can be done remotely. Instead of going into my boss's office to let him know I needed to quit, I instead walked in and asked if I could work remotely from another state. It is nerveracking and can feel awkward, but the worst that can happen is they say no. You never know, they may say yes. Go in there confident in the work you do and ready to pitch why it's in the company's best interest to let you keep your job. You may not get to work in your field, and you may not make as much money as you would if you were in a big city long-term. If you go in demanding to make as much as your civilian counterparts in the exact field you majored in, you're going to have a tough time. Go in open minded and stay positive. Alright guys, I realize this was long, but I wanted to pack it with as much information as I could. I know it can be hard to have a career and follow your significant other around the country, but you can do it! Happy Friday everyone! I thought I would keep things nice and light heading into this fabulous weekend, so today on the blog, here are 5 things that have gone through my mind this week. 1. Last weekend was National Clear The Shelters Day, so I spent Saturday stalking some of my favorite shelters on Facebook for all of the adoption posts. 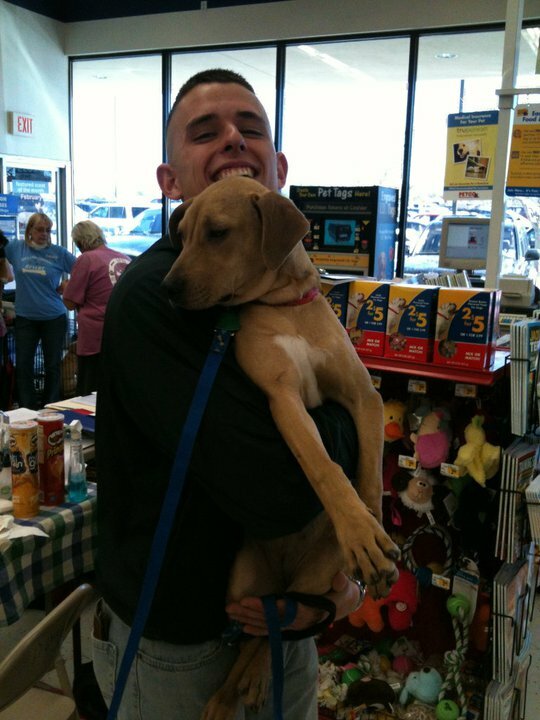 Seeing shelter pets get adopted is like Christmas for me! 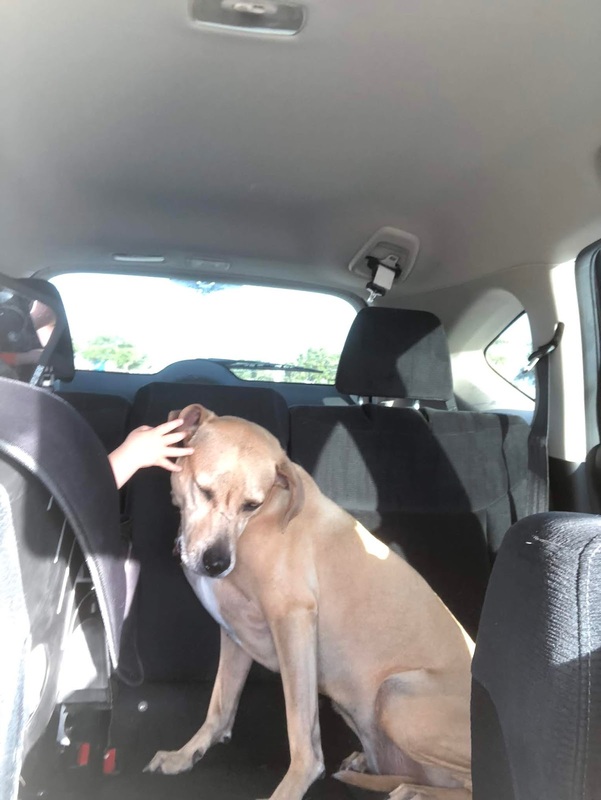 There are so many sweet, wonderful puppies and dogs that just want a chance, and I wish I could find a home for every single one. Here's a throwback to rescuing our sweet Jenny 7 years ago! She made us a family. 2. I love saving a dollar. I had four photobooks to create and order for my family to document our recent beach vacation, so I waited for Shutterfly to have a good sale before ordering. They had a deal earlier this week for free shipping, free extra pages, and 40% off everything... can't beat that! I ordered 4 photobooks for $103 and saved $170 when all was said and done! My thrifty little heart was happy. 3. All of the back to school pictures posted this week make me so sad knowing I am going to blink, and my baby will be off to kindergarten. Time slow down. I wish I could keep him little forever! 4. Whoever invented the splash pad is a genius. Seriously, what a great idea. Moms everywhere are thanking that saint this summer. At least I am! 5. I finished another Colleen Hoover book this week and have decided she is now my favorite author. If you're a reader, check her out! It Ends With Us killed me in the best way. Okay, that's all I've got. I hope you all have a fun and safe weekend! 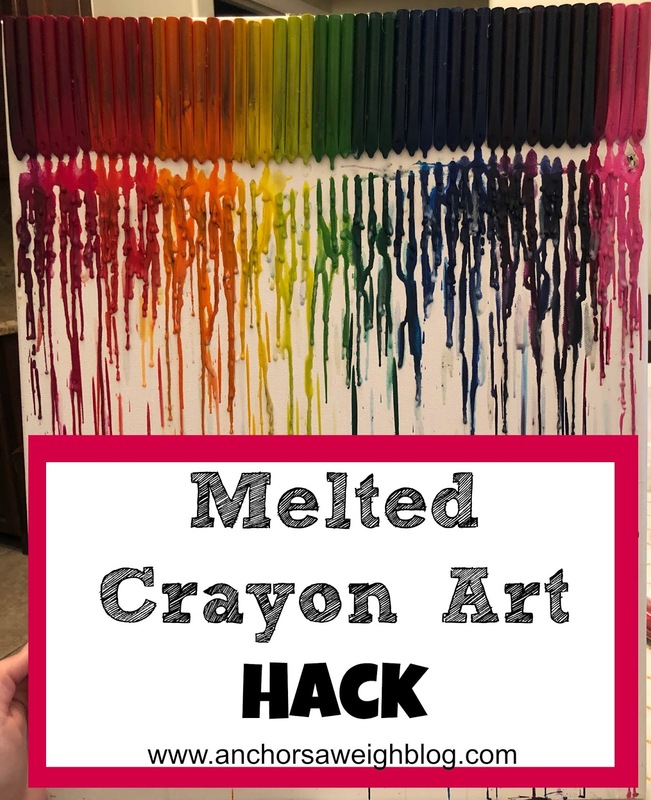 Does anyone remember the melted crayons on canvases that monopolized Pinterest a few years back? 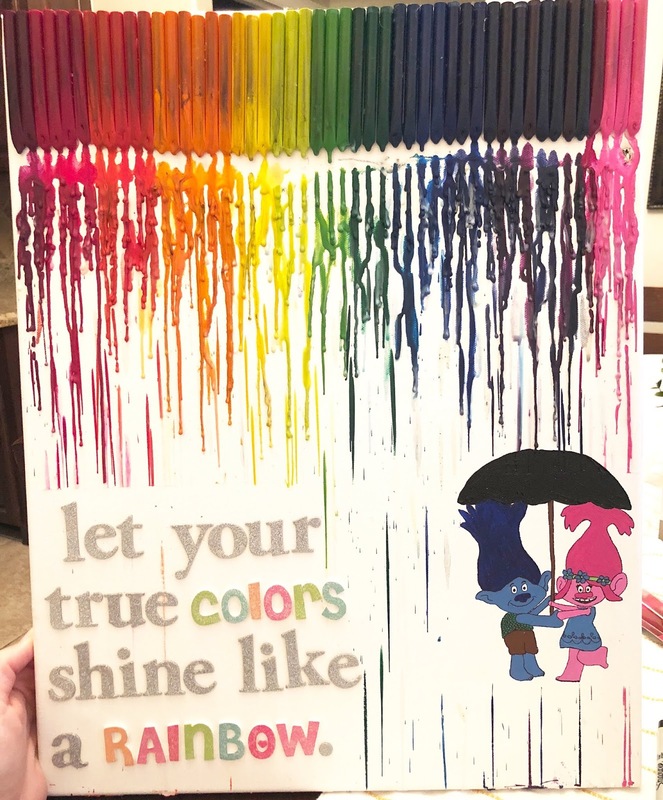 The crayons look like they are raining colors over a silhouette of a couple with an umbrella, and all of America went nuts and thought we needed to try it. Well, as usual, I am about 4 years late to the trend, but I decided to sit down and try it. My nephew is about to turn 2 and is having a Trolls themed party. If you've seen the movie Trolls (watch it, so cute), you know that it's all about the bright colors. 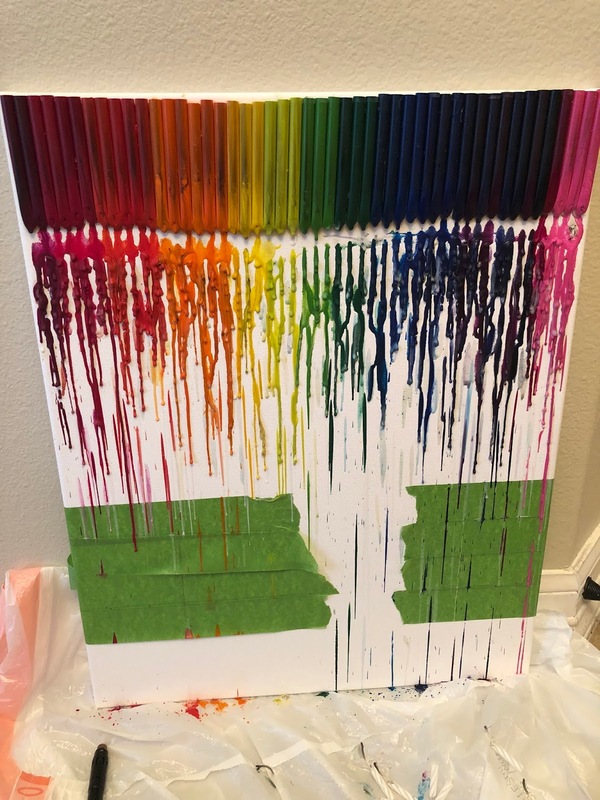 I thought the melted crayon art would make a cute party decoration, so I set out to give it a whirl. I wasted about 2 hours of my life peeling the wrappers off of crayons, hot gluing each crayon, and blow drying the crayons to get them to melt. And this was the result. I was so bummed! I was ready to be done, but I'm stubborn, so I decided I would give it one more go. I researched on Youtube and Pinterest to find different ways to do it, and I think I found the perfect hack to this craft that I'm excited to share with you today. First things first, you have to use Crayola crayons. I repeat, YOU HAVE TO USE CRAYOLA CRAYONS! I tried being cheap and using crayons from the Dollar Tree on my first try, and that is where I went the most wrong. 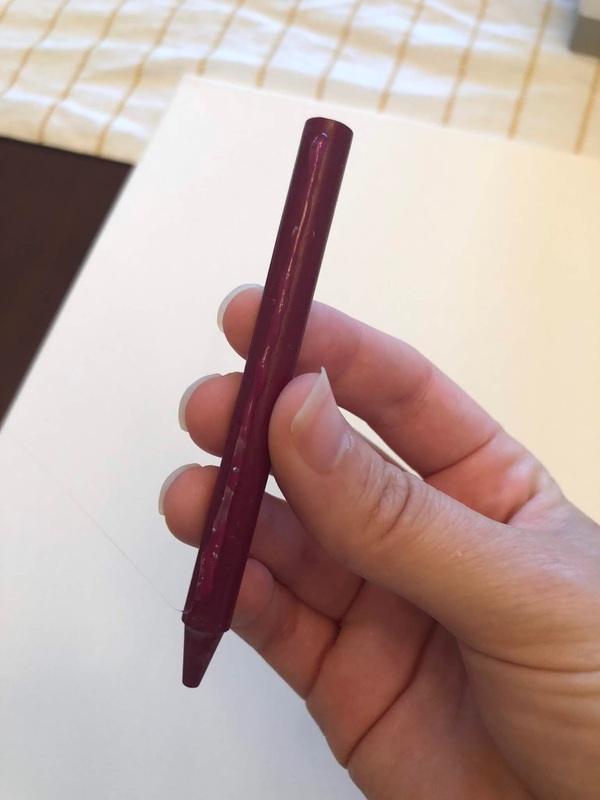 Cheap crayons have a waxy film on them that doesn't melt as well. Spring for the Crayola. Step 1: Take the paper off of the crayons. The paper will catch fire from the candle, so you have to take it off. 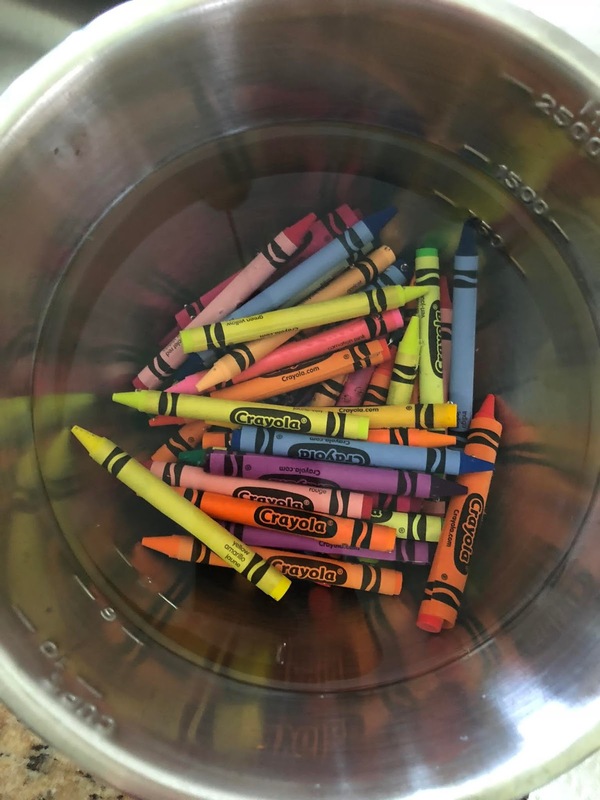 Crayola glues every inch of that paper to the crayon, so the easiest way to take off the paper is to soak your crayons in water for 30-60 minutes. The paper should peel off easier after that. Feel free to leave them in there longer than 60 minutes. Nothing bad will happen to your crayons. 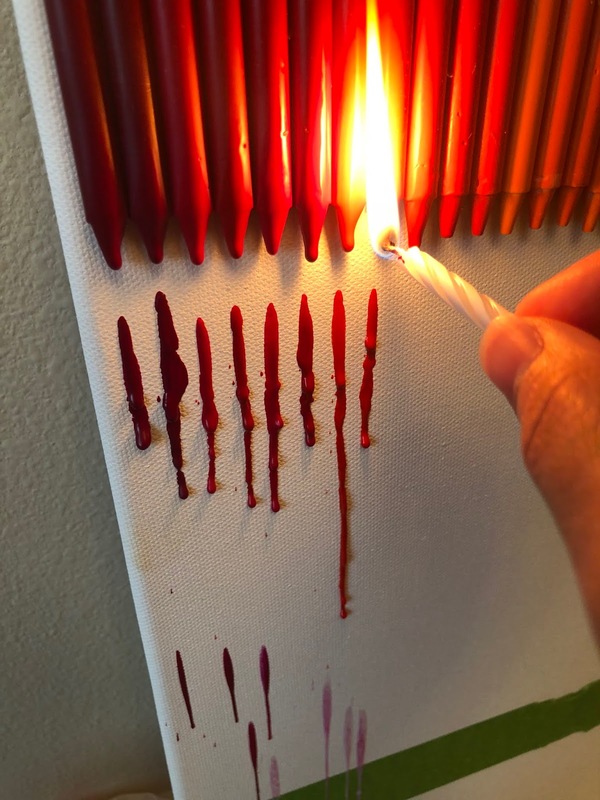 Step 2: Make sure your crayons are dry if they soaked in water, and hot glue each candle to the top of your canvas. 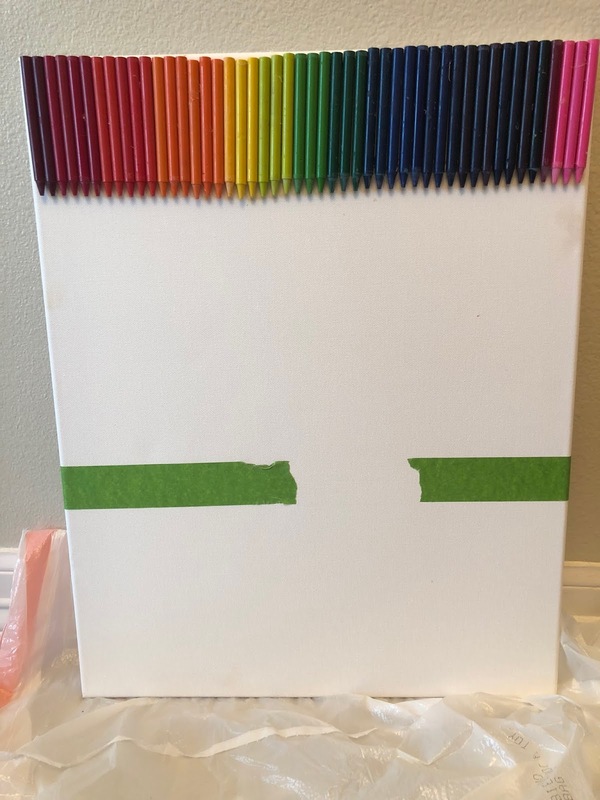 Use painters tape to tape off any area on your canvas where you don't want the crayon to melt. Step 3: Light a birthday candle and hold it to the tip of the crayons to melt. Each crayon should melt in a few seconds. Try to aim the candle to the tip of the crayon without letting the flame touch the canvas. I went through about 6 birthday candles for this project. Ta da!! Easy, simple, and exactly what I was going for. I mentioned at the beginning of this post that this is for my nephew's Trolls themed party. So I stuck on a quote from the movie and drew the main characters at the bottom of my canvas. If you ever find yourself wanting to attempt the melted crayon art, please learn from my mistakes. The first night was rough, but applying a few simple hacks to this project gave me the fast, easy end result I was looking for! It's a common phrase in the Navy. "Join the Navy, see the world". Parker says it every time he goes on another Navy-sanctioned field trip. I thought it would be fun today to share where in the world he has actually been! I've joined him on a small handful of these trips, but I pale in comparison as a world traveler to this guy. The Navy isn't always rainbows and sunshine, but there are a lot of wonderful perks, and traveling is one of them! 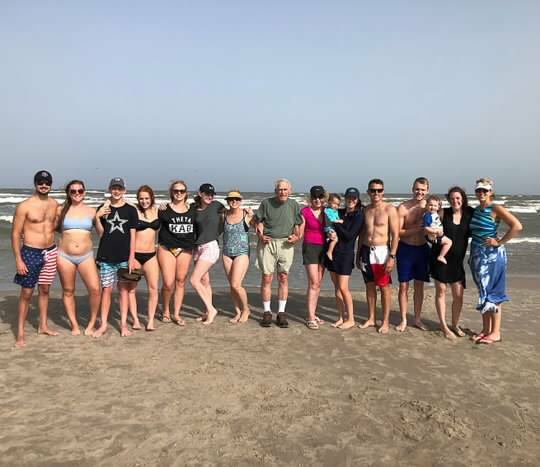 I'm going to skip the places we have been stationed in Texas because we are from Texas, so that's not so much seeing the world and more just moving a couple of hours down the road. 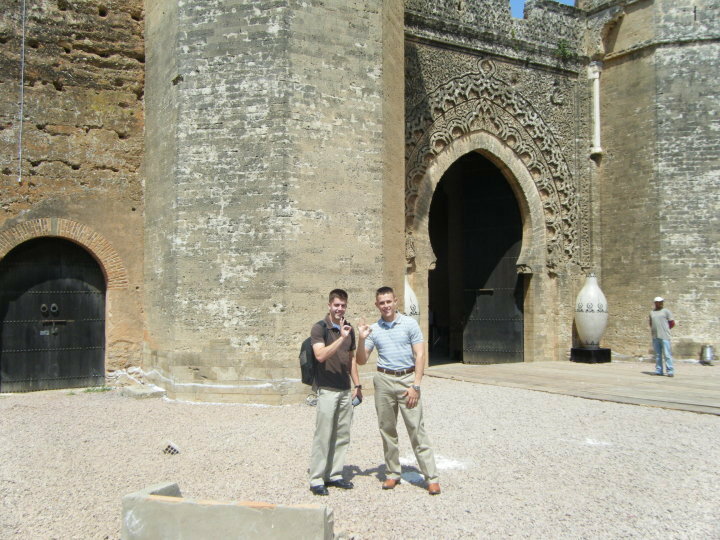 Parker got a cool opportunity to travel to Egypt and Morocco while he was still at Texas A&M with the Corps of Cadets. 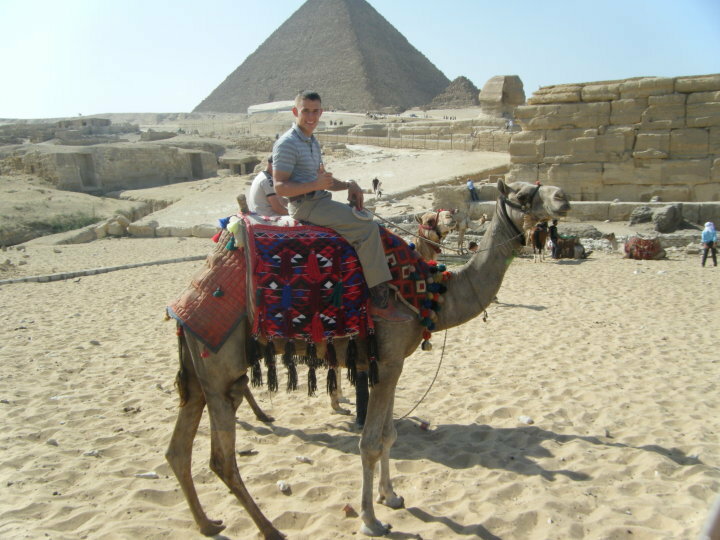 It's not every day you get to ride a camel around the pyramids. He got to stay with a family in Morocco and really submerge into the culture. Such a cool opportunity. Parker went to Hawaii for one of his summer cruises (a Navy cruise, not the fun kind with margaritas) as a midshipman. 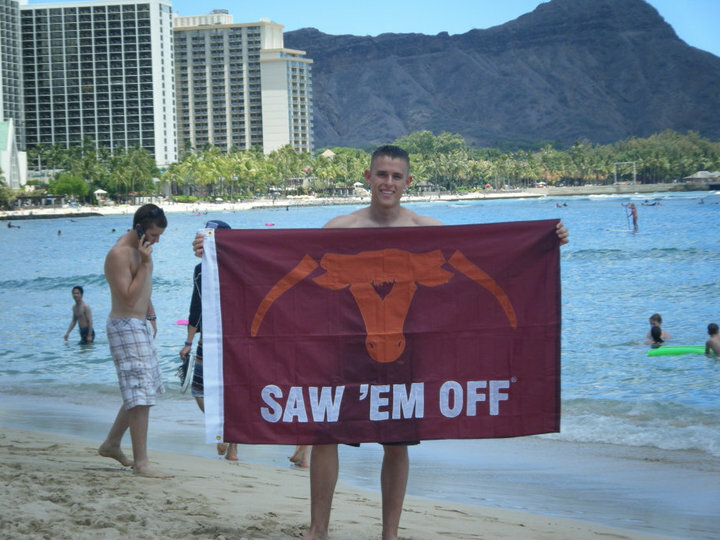 He started a tradition where he brings this A&M flag with him when he travels so he can write the location and date of his trip on the left side. This was our first big move away from Texas. 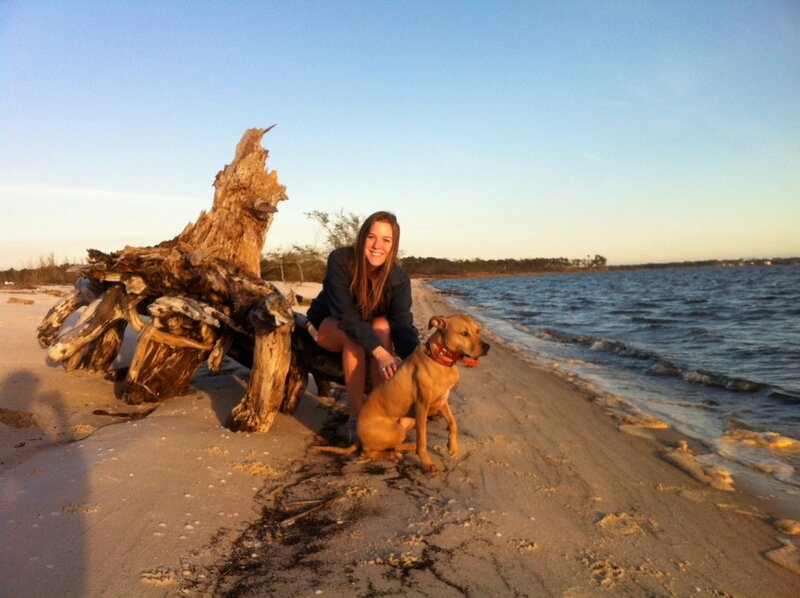 We moved to Pensacola in January 2012 and lived there for 16 months. Parker started flight school there, and we made friends that we will have for a lifetime. All flight students start out in Pensacola, and the Navy really spoils you with that one. 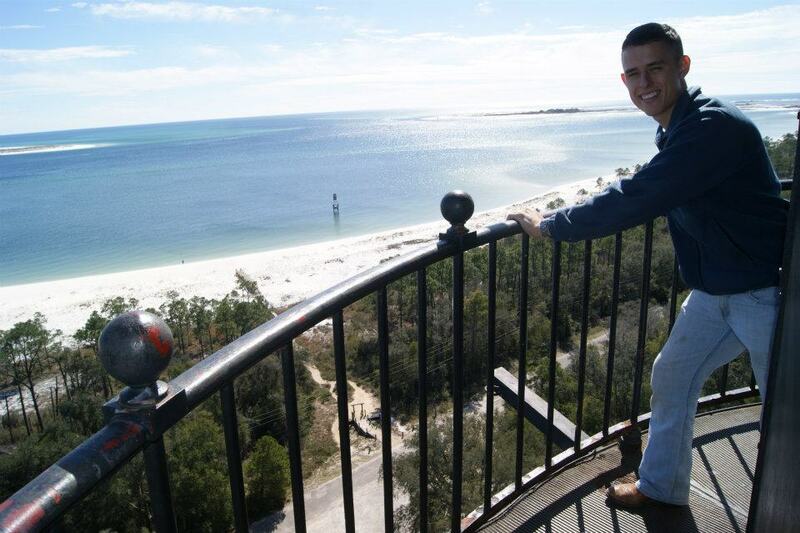 There aren't too many places that are better to get stationed than Pensacola, Fl! To top it off, my twin's husband was in the Navy at the time,and they were stationed an hour away. It was awesome! Ah, home away from home. We can't believe how much that place became home. In some ways, it feels more home than Texas, but it wasn't because of the location. It was because of the people. We miss our people in Virginia every day. We also miss all the greenery and trees everywhere! Virginia is beautiful! 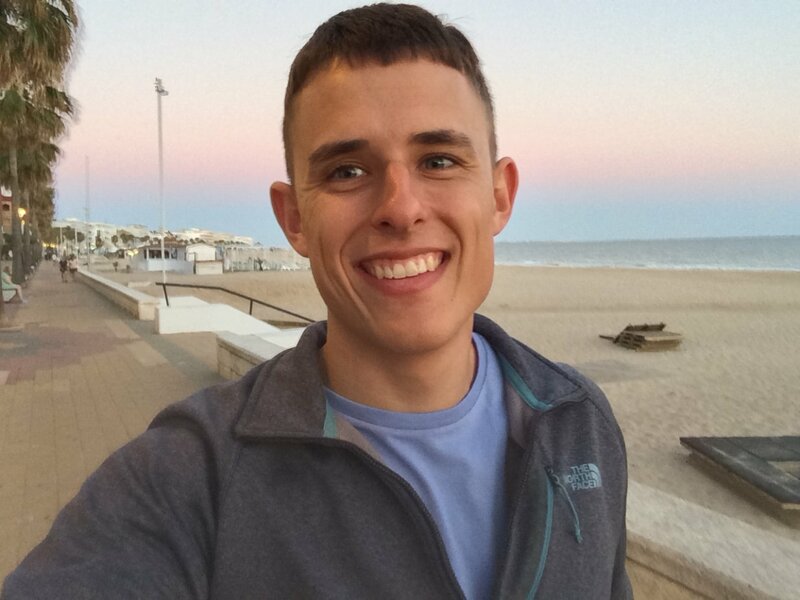 Parker had to spend a month in Jacksonville in April 2016 right before he deployed, and he was staying in a hotel on base that looked out onto the beach. Needless to say, Jenny and I hopped in the car and drove 9 hours to spend a week with him. He worked during the day, so Jenny and I roamed around the beach while we waited for him to get back to the hotel. That was such a fun week for all 3 of us. 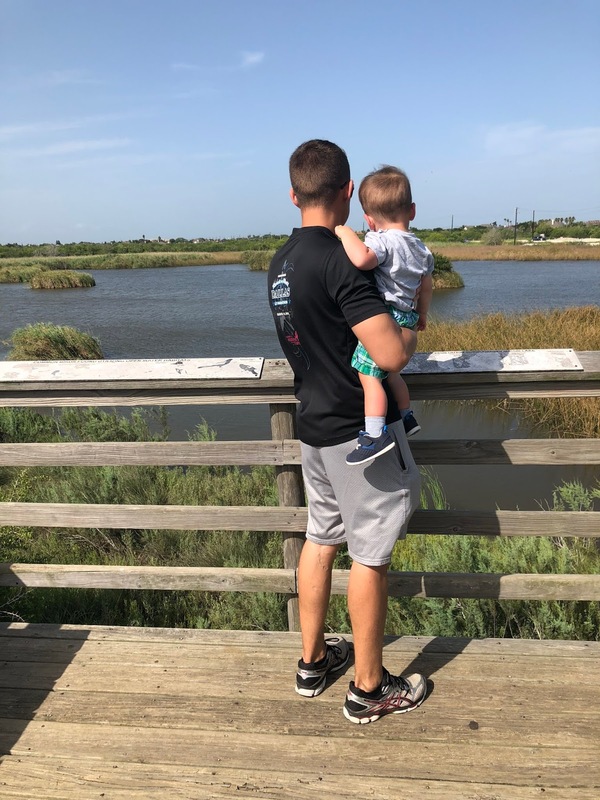 Parker's first stop on deployment was Rota, Spain. He stayed there a few days before moving on to Italy, but he really enjoyed Spain while he was there! It was June, so nice and warm! 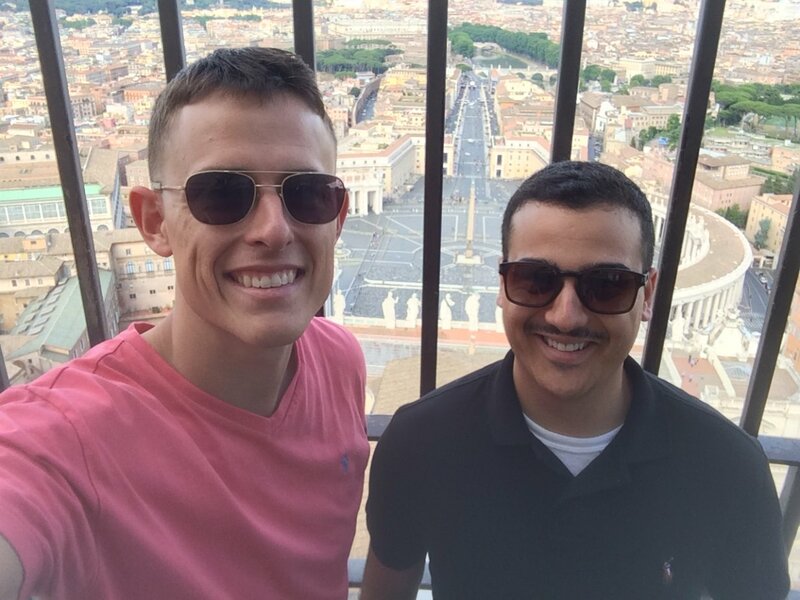 Parker's next stop was Naples, Italy, but he didn't have many pictures from that stop so here are pictures from his next visit to Rome. 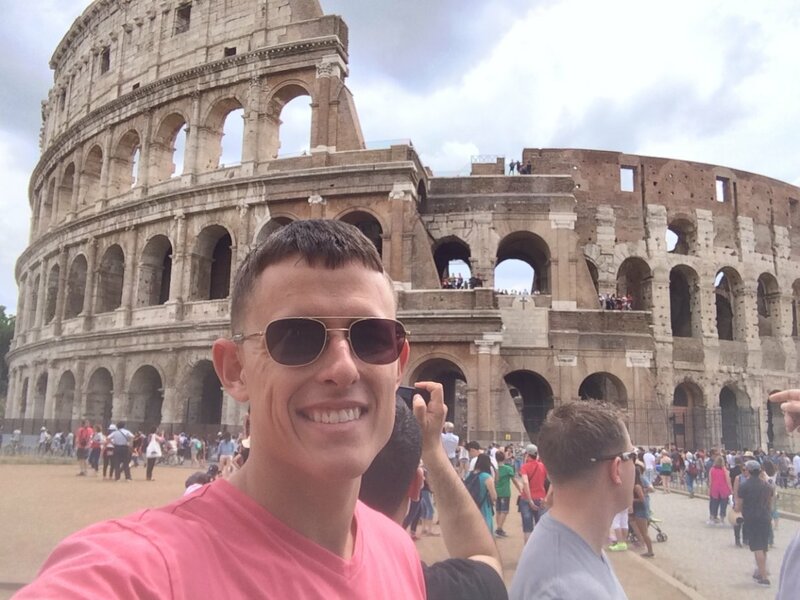 He got to see the Vatican and the Colosseum! His final stop before arriving in Bahrain, where he would stay for 6 months, was the island of Crete. 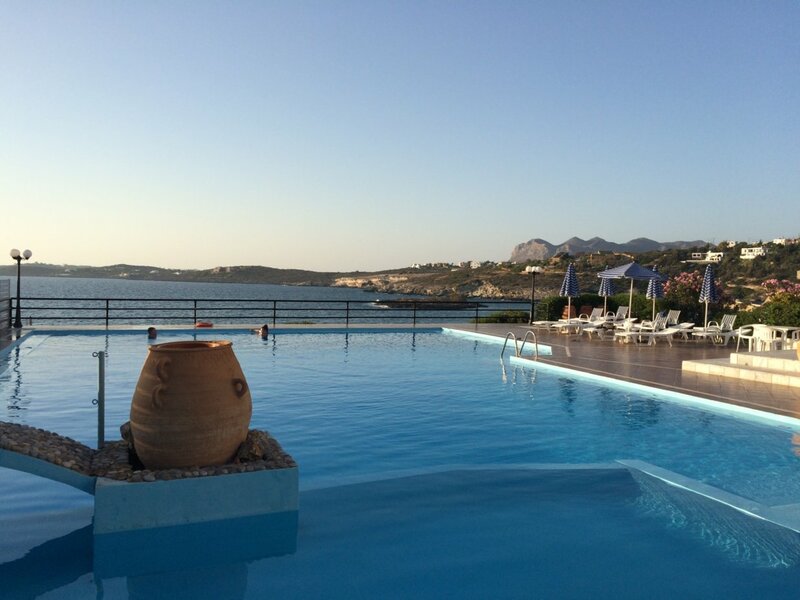 His hotel had views of the Mediterranean Sea, and everything was beautiful. He would have loved to spend his entire deployment there (wouldn't everyone! ), but he stayed a couple of weeks before leaving for Bahrain. 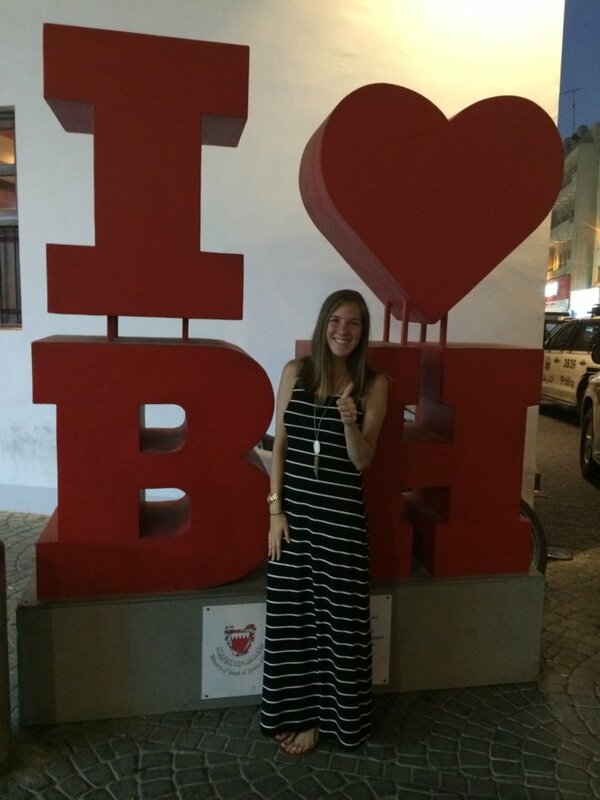 Bahrain became home for 6 months. 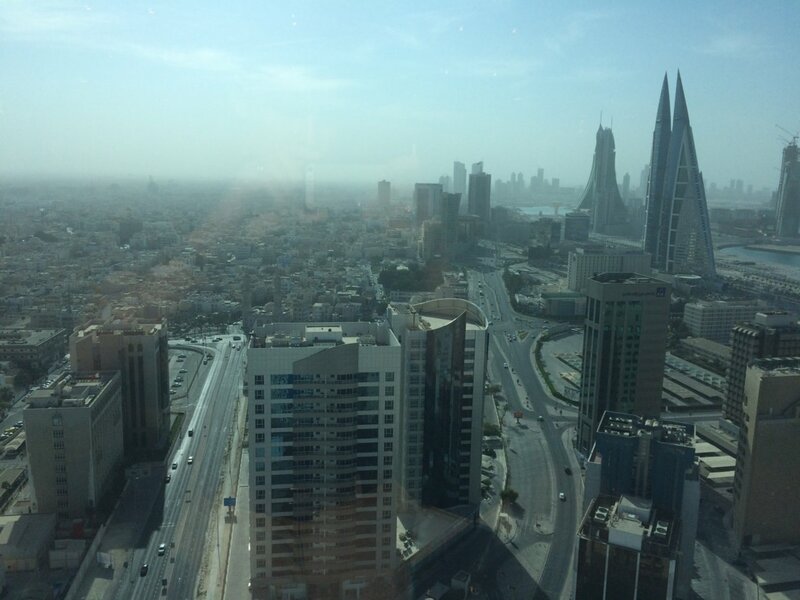 Parker was land based for deployment, so he actually stayed in Bahrain and not on a ship. It was incredibly hot in the summer (over 110 degrees many days) with no breeze or trees around. 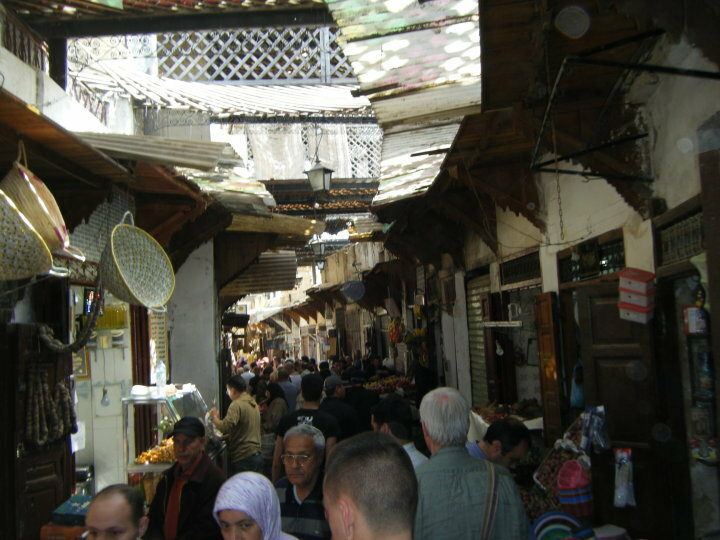 They speak Arabic there, and the people were very friendly. I actually flew to see Parker on deployment and got to stay in Bahrain for a week. It was the highlight of deployment for him and such a cool experience for both of us. Parker stayed in Spain a few days before heading back to America after 7 months away. It was December for this trip, so he got to see some snow in the mountains! 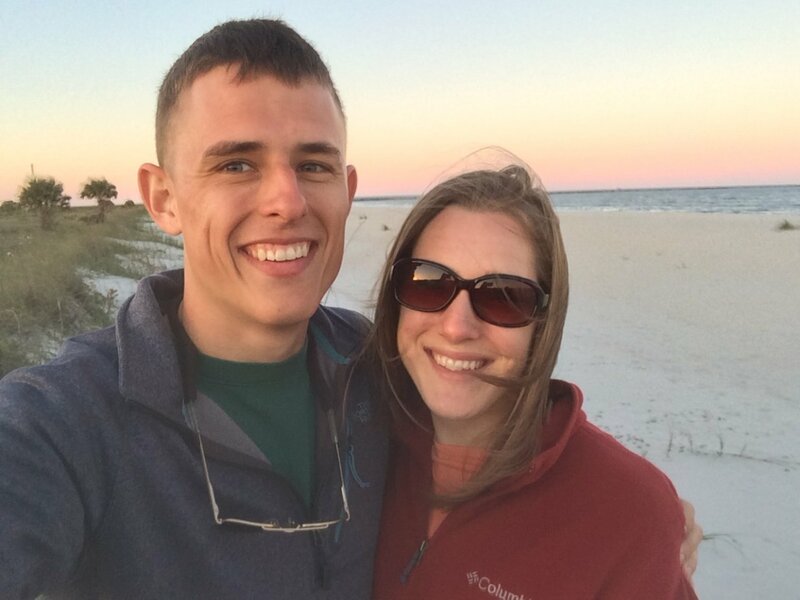 The Navy has treated that husband of mine (and me too) to some pretty cool trips! 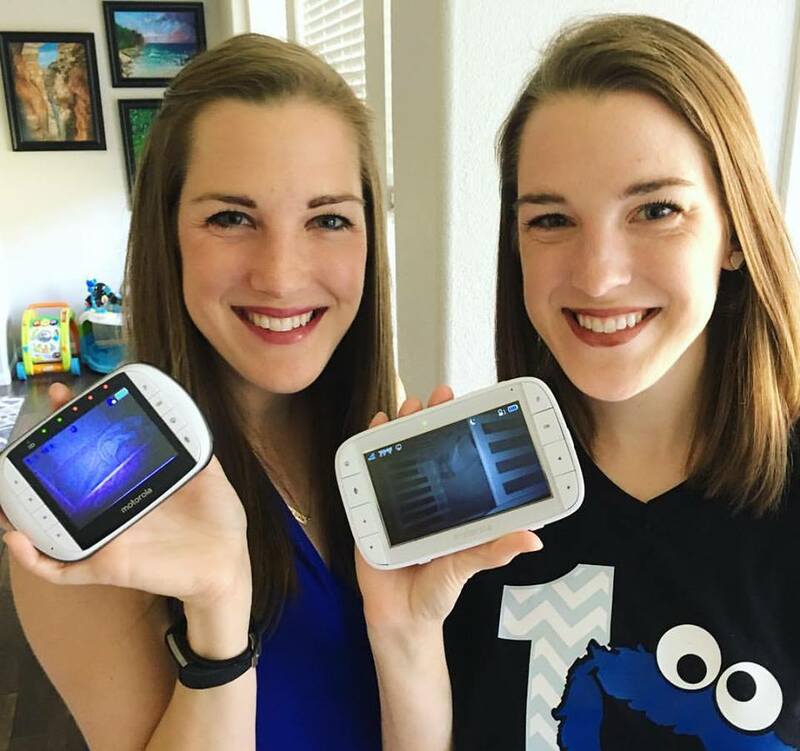 We are excited to see where they take us next! Maybe this was the direction you've always wanted your life to go. 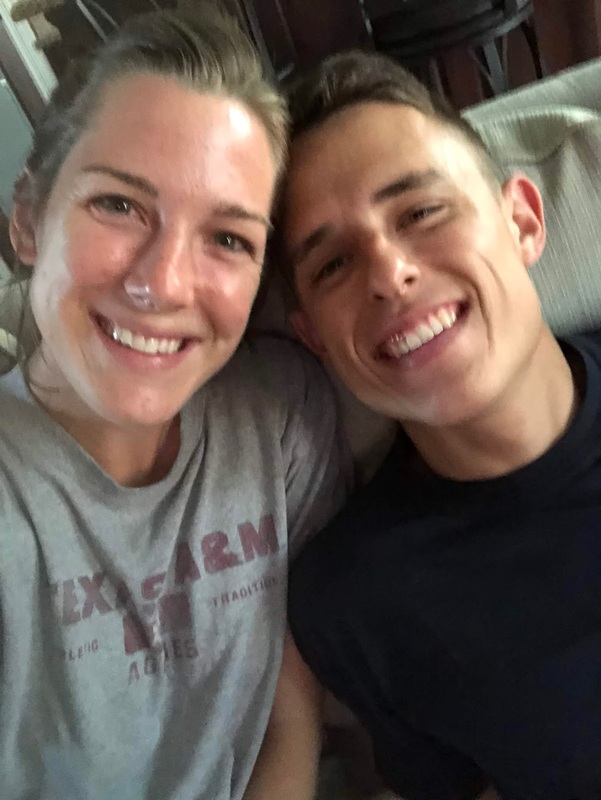 You are entering into a world of adventure, travel, and love with your best friend, and you are so ready to get this military journey started. Or maybe, you're like I was. 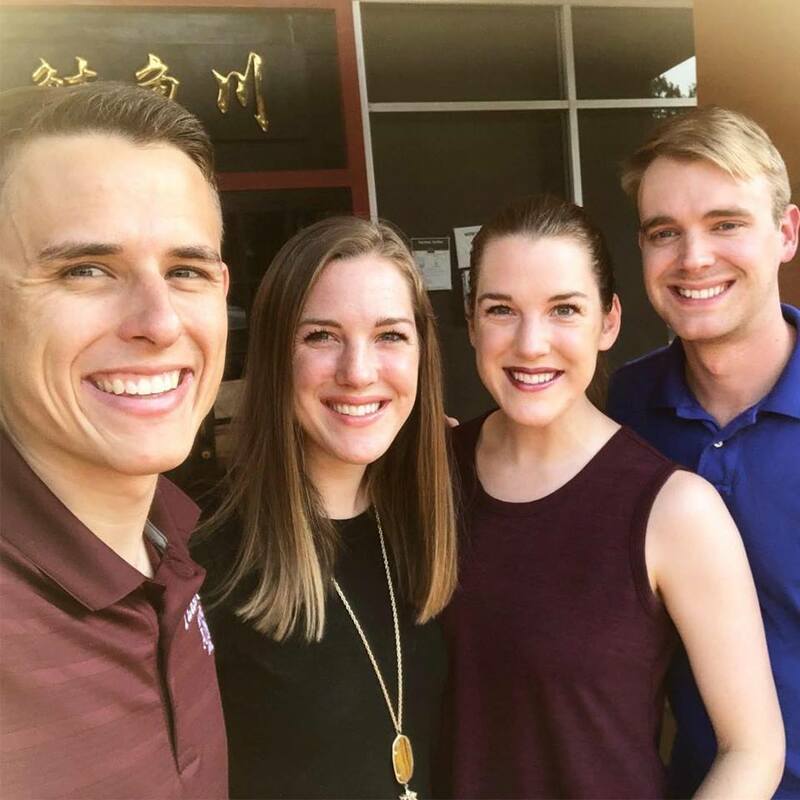 You grew up in a small town and lived minutes from family and could have never imagined packing up and moving across the country after graduation. Maybe you grew up dreaming of the white picket fence. You wanted a husband with an 8-5 job, toddling kiddos, and grandparents that live right down the road. And now you're looking at your future realizing that will not be your reality. And it's scary. I want to take today to give three pieces of advice, from one military spouse to another. Take it or leave it, but these are things I wish someone would have told me. The first, and easily the most important, is that you have a choice to make. Right here, right now, you get to choose how much you are going to like military life. You get to decide if you will just survive or if you will thrive. Choose to thrive. See the joy and the good and relish in the adventure. You get one life, so don't waste your time being upset about the things you can't control. Secondly, don't compare. Don't keep a list of "things I can't do because we are in the military". Don't envy your friends back home for their "normal" lives. 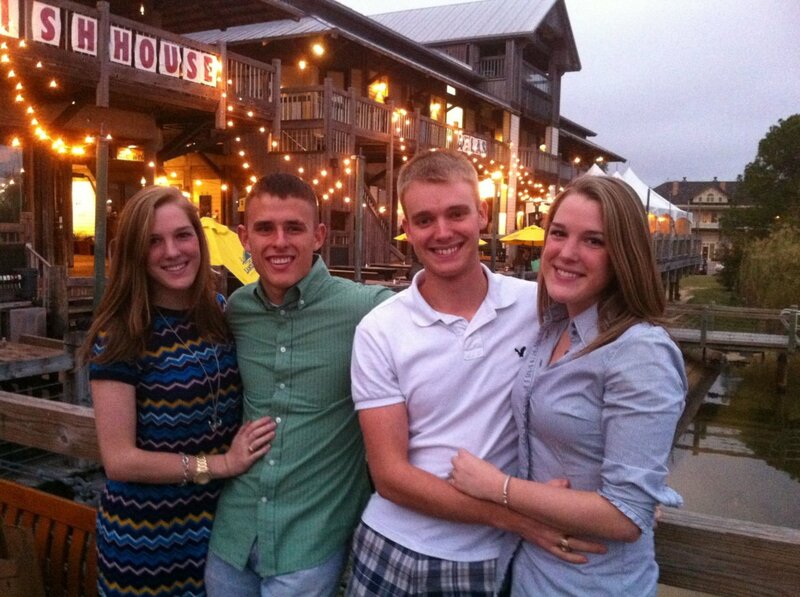 Don't resent them for whining about missing their husbands for a weekend when yours has been deployed 8 months. Comparison is the thief of joy, so focus on you, and surround yourself with people who will encourage you and build you up. Thirdly, and this is easily the most vague and cliche, but enjoy this. Seriously, enjoy it! You are going to travel the country and maybe even the world. You are going to move to cool places and meet new, fun people you never would have known otherwise. 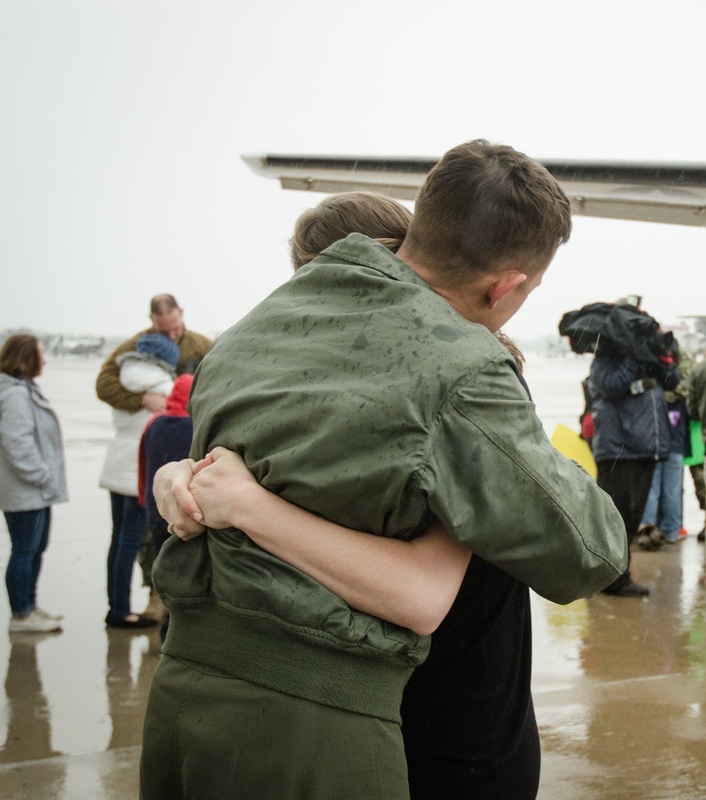 You are going to realize your strength through deployment and join the ranks of the few that get to experience one of life's greatest joys: homecoming. Military life is one great adventure, so enjoy the crap out of it. Future military spouse, this life won't always be easy, but it will be amazing. Congratulations on an exciting adventure ahead. I'm rooting for you to love it as much as I have. Happy Wednesday! 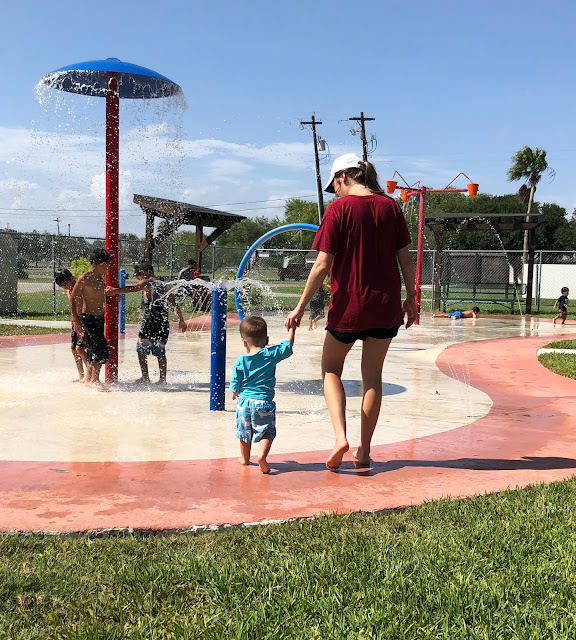 I write these Life Lately posts and realize nothing I'm writing about is too terribly exciting, yet I will look back on these days and miss these beautifully mundane moments so much. We took a family trip to the Botanical Gardens, and it was so neat! Parker isn't so keen on walking around flowers all day, but this Botanical Gardens had so many amazing birds that talked, danced, and that you could pet. 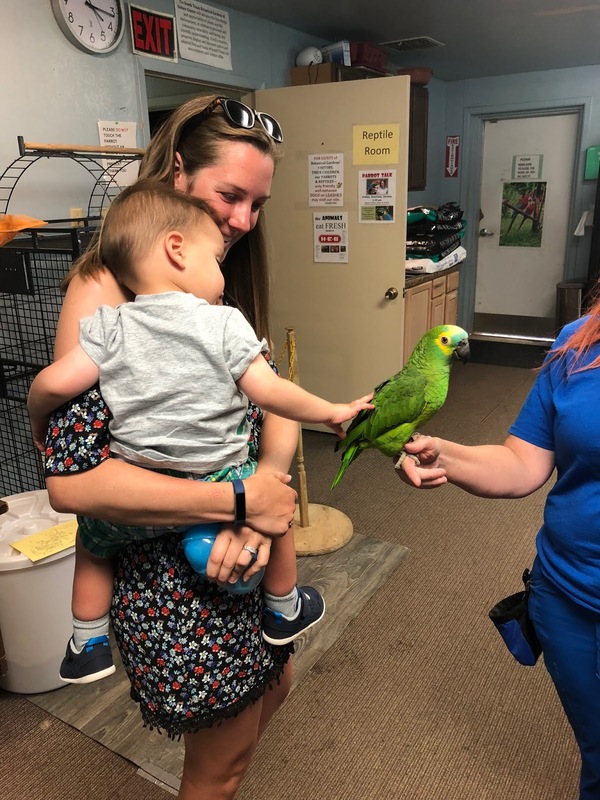 Here Preston is petting a bird named Sweetie. So cute! This picture just screams Texas to me. The water isn't the bluest, the grass isn't the greenest, and the sun is blazing hot, but this. is. home. Parker has been humoring me in my love for games, and this week we broke out Phase 10. I played all the time as a kid but hadn't played in 15+ years, so it was fun to relearn how to play. 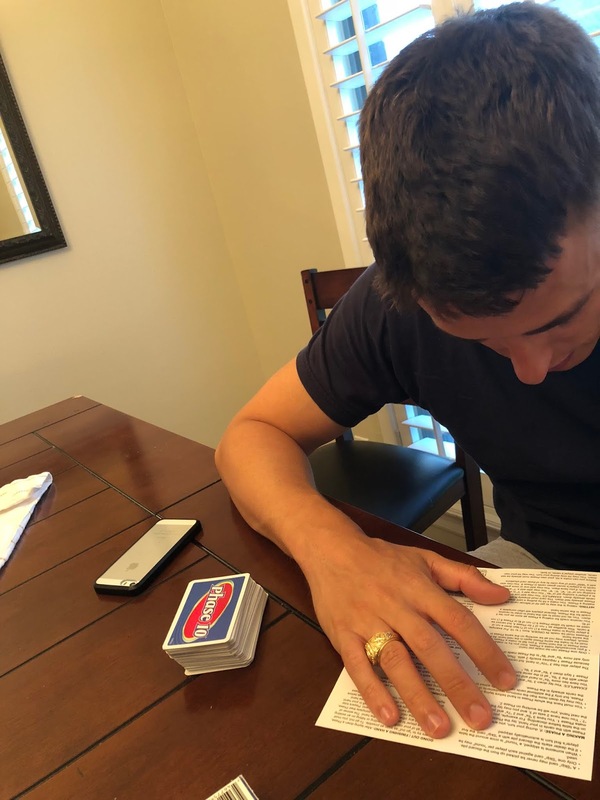 Parker read the rules for like 10 minutes... it's an elementary level game, you guys. Preston wasn't feeling well the other night and fell asleep in my arms at 6:15 PM. 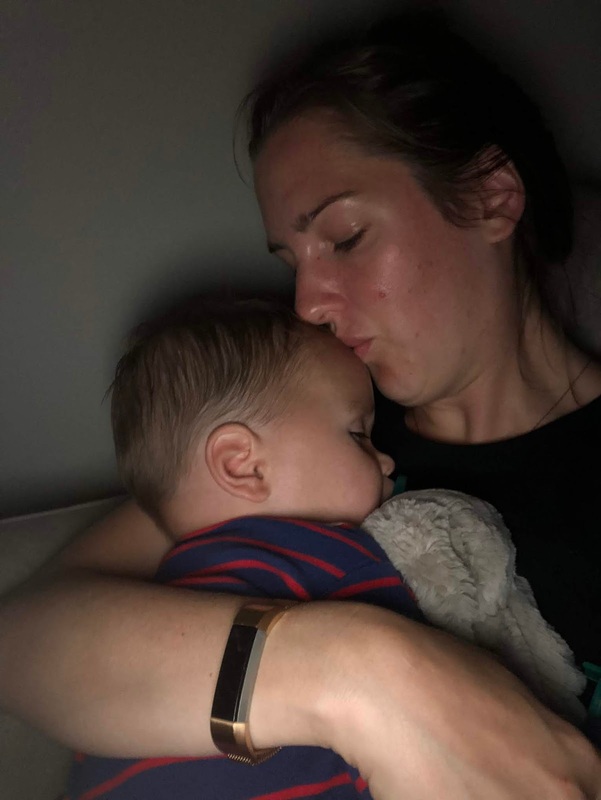 The cuddles are a little more rare in this toddler phase, so you can bet that I stayed there and snuggled that boy for an hour while he slept. It took me back to the baby stage and gave me all the feels! When I finally decided to put that sweet boy in his crib, I walked into the living room to a husband and Chinese takeout. Bless him. Oversized t-shirts and Chinese takeout on the couch... just living the Friday night dream! 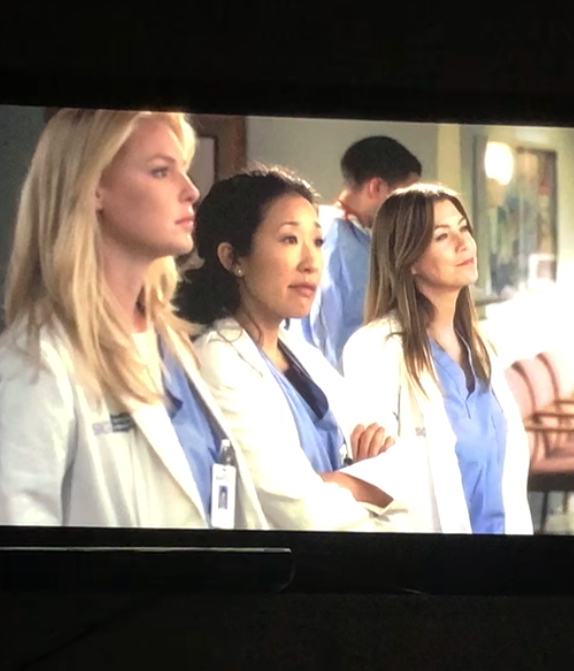 I have seen every episode of Grey's Anatomy at least 3 times, and here I still find myself binge watching it yet again. I just love this show. This is one of the only shows that can bring me to tears over and over again. A Life Lately post wouldn't be complete without a little Jenny update. You guys, she is just the best big sister ever. I love her so much, and I love how much she loves her brother. 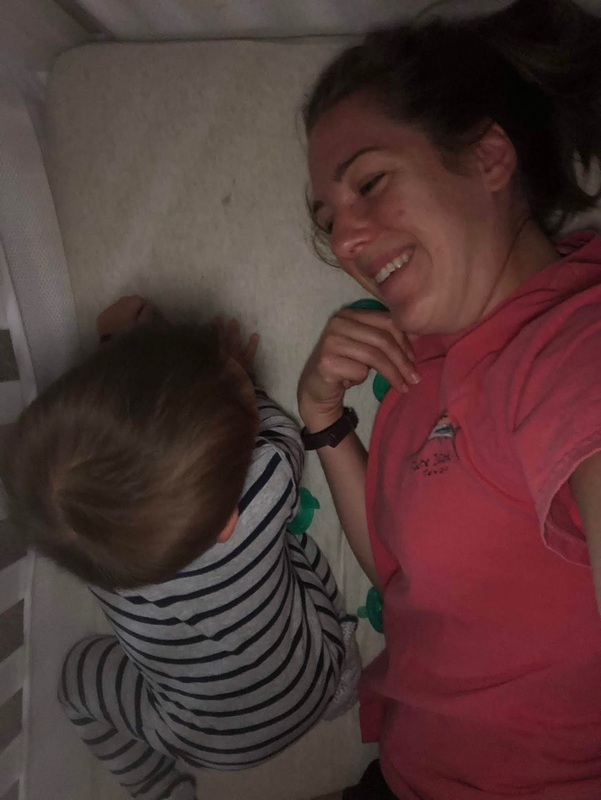 And lastly, I jumped into Preston's crib the other morning when I went in to get him up, and he thought it was so funny. I had never done this before, and he looked at my like I was nuts before breaking out into the cheesiest grin. It's the little things. Tomorrow is my half birthday. I've talked before about how a half birthday should be a real thing, and I always make a point to let Parker know it's my half special day in case he wants to buy me presents. Spoiler alert: sadly, no presents are ever given. 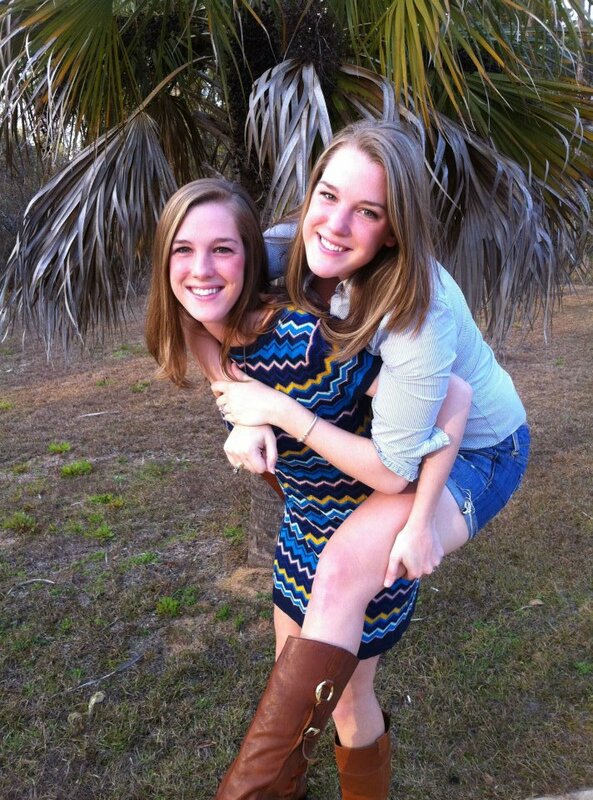 Tomorrow is my half birthday, but it's also someone else's half birthday... my twin's! 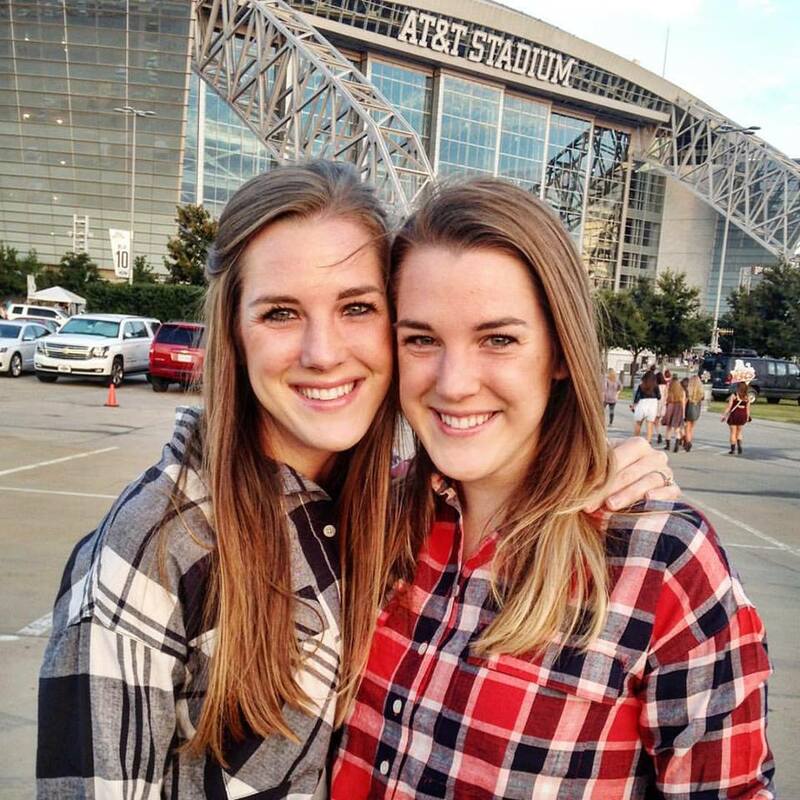 If you've read this blog before or known me longer than .5 seconds in real life, you know that I have a twin. She's my best friend and my other half. We are the same person but also very different. She's funnier. I'm more creative. She makes a better first impression. I am more social. The same, but different. 1. We Facetime multiple times a day every day. It's very rare that we go a day without talking on the phone. 2. We are both boy moms, and her son is only 5 months older than mine. 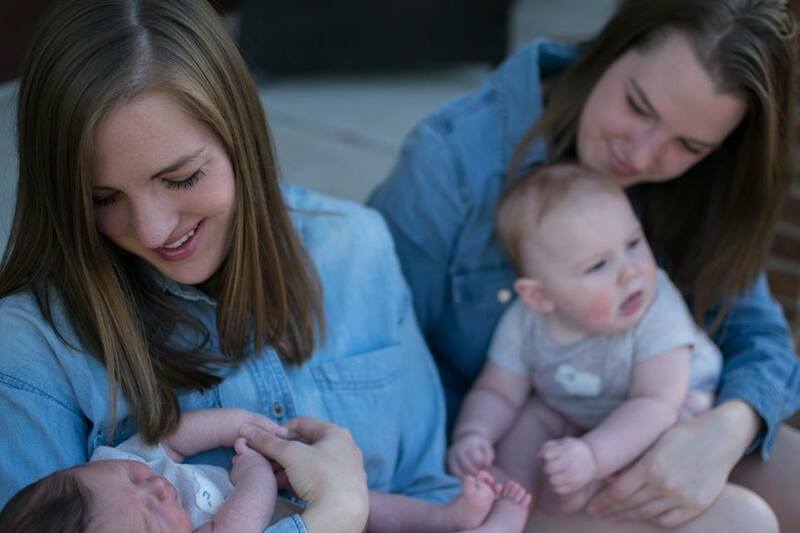 Basically, we have gotten to go through almost every phase of motherhood together. 3. 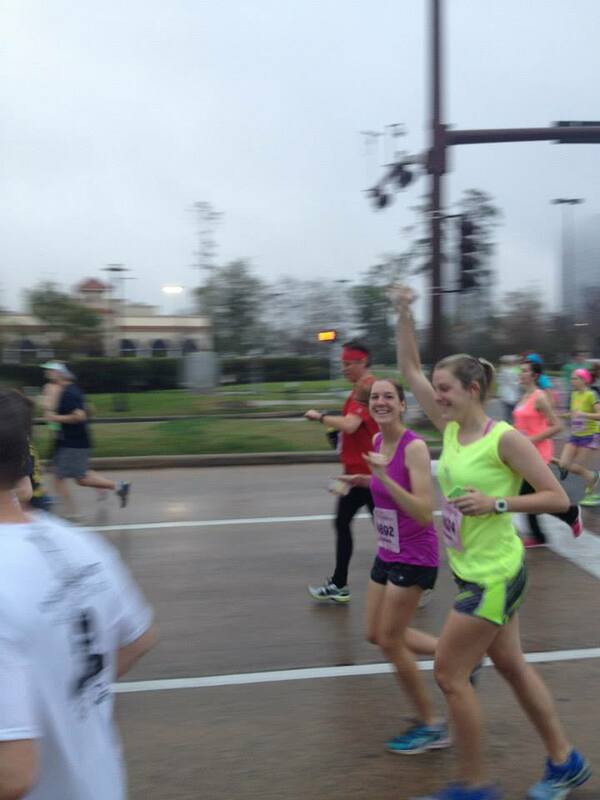 We switched places at her high school track meet, and you can read that story here. 4. 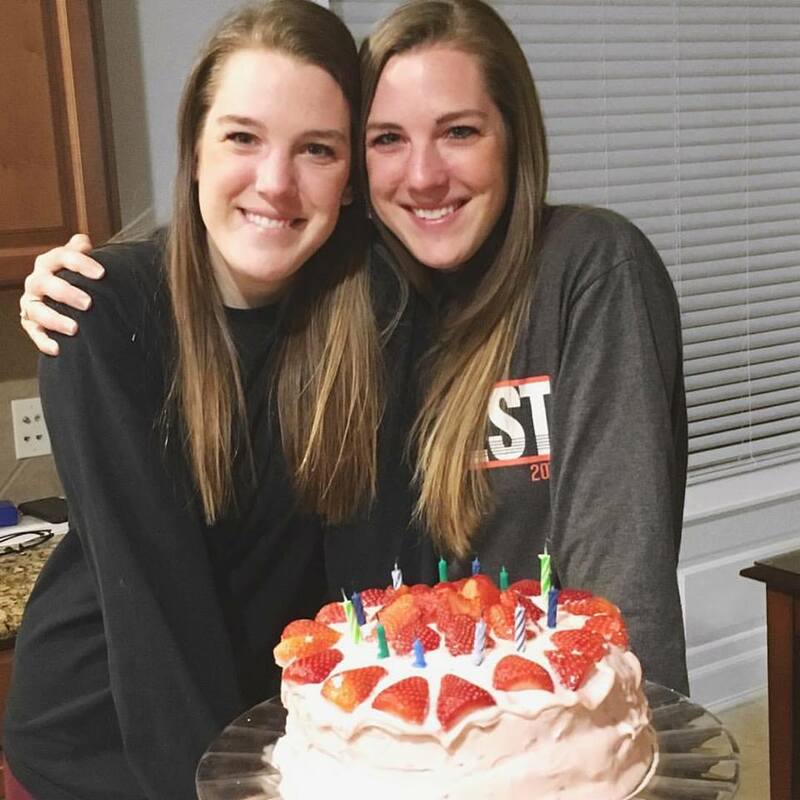 People always ask if twins can read each other's minds. No. At least, we can't. However, we often think the same thing at the same time. Since we share identical childhoods, different stories or words spark the same thought for us both. 5. We are mirror twins, whatever that means. I am left handed and she is right handed, and our hair naturally parts on opposite sides. 6. We didn't think it was possible to be any closer, and then we had kids at the same time. 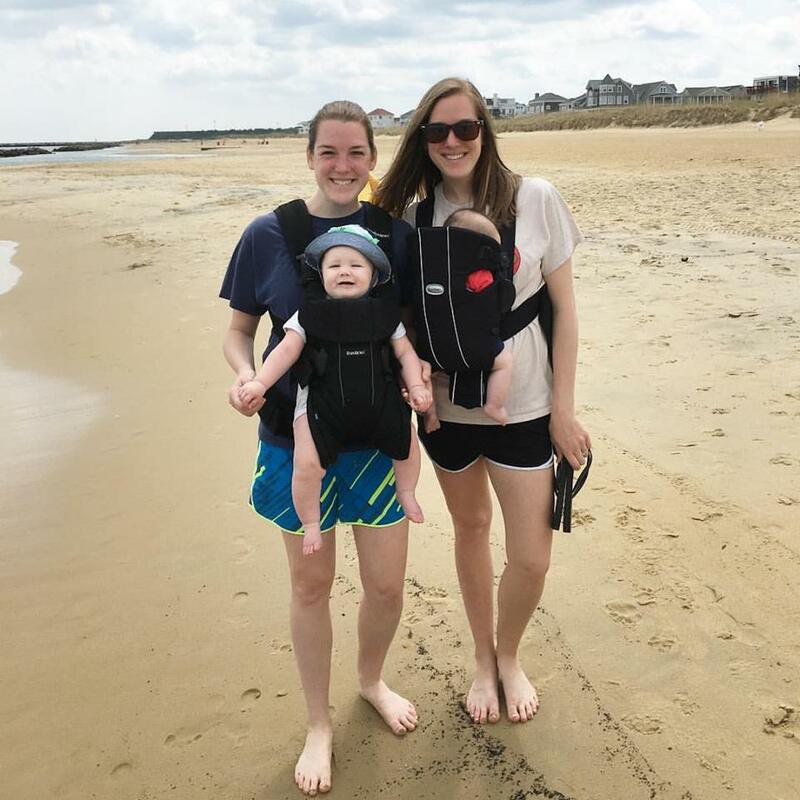 Motherhood has brought us together, and we are so grateful we get to do the journey at the same time. 7. Our husbands are very supportive of this twin thing. They know we are close and have just kind of accepted that we are a package deal. 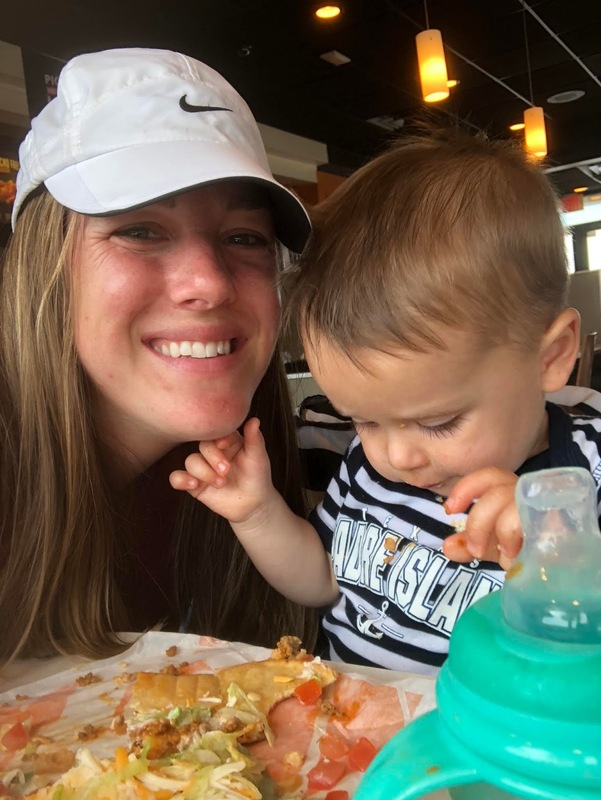 Funny story: Parker filmed my reaction when we had our son, and not 2 minutes after Preston was born, you can hear Parker ask me on the video if I want to call Danielle. 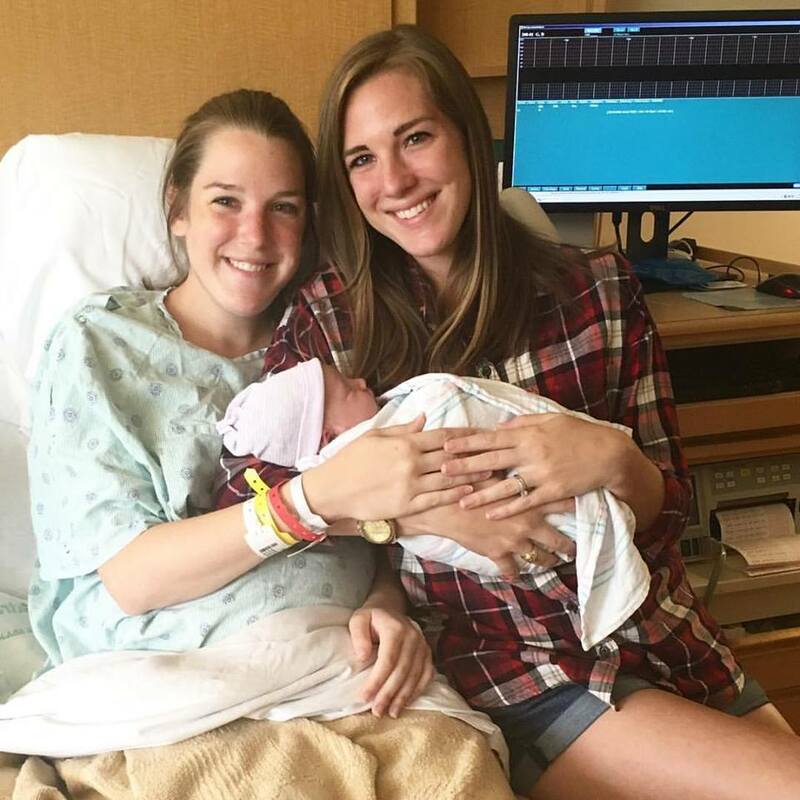 I waited, by the way, but I laugh because Parker just assumed I would want to talk to her there on the operating room table 2 minutes after my c-section. 9. We have the same taste in pretty much everything... we like the same music, the same food, the same TV shows, the same movies. Ironically, the only exception is our taste in men because our husbands are pretty different. Both are great guys though! 10. Danielle was slightly cooler than I was in high school, and one day Freshman year, she saw me in the hallway and didn't say hi. She was trying really hard to be cool and didn't want to talk to someone "not as cool". WE HAVE THE SAME FACE! I have given her a hard time for that for 13 years with no intention of ever stopping.